We love Logitech, all we use in our home for keyboards, mice and even our TV remote are all Logitech. So, when Logitech reached out to me and asked me to review their new Irresistible Eye Candy Collection I was excited to see what new designs and colors they came up with. If you saw last year, I reviewed the Logitech Global Graffiti Collection and loved the bold and fun designs they came up with. Now, the newest collection, Irresistible Eye Candy, from Logitech is hitting stores and the colors are super fun and bright. I received the Logitech® Zone Touch Mouse T400 in a candy blue color. This is my first experience with the new Logitech® Zone Touch Mouse T400 and I have to say I really love it. Just like all Logitech mice I’ve used – it’s fast, responsive and I love the fun and bright Midnight Berry color. It’s also comfortable to grip with rubber sides for better comfort and grip. What makes the Logitech® Zone Touch Mouse T400 even more unique is that it’s specifically designed for the new Windows 8 interface. It’s a very comfortable to use hybrid mouse that supports Windows® 8 navigation with both a touch zone and traditional mouse buttons. Logitech unveiled its fifth-annual design collection, releasing some of its most popular mice in intense bursts of bright candy colors and patterns. Designed to reflect the spark and enthusiasm that makes you who you are, the Logitech® Eye Candy Color Collection makes your mouse – and your desk – come alive with tasty hues and luscious patterns. This sweet assortment adds a burst of eye-catching colors and patterns to some of Logitech’s most popular mice, including the micro-precise scrolling Logitech® Wireless Mouse M325. New to the collection this year is the Logitech® Zone Touch Mouse T400, a comfortable hybrid mouse that supports Windows® 8 navigation with both a touch zone and traditional mouse buttons. Buy It: The Logitech Eye Candy Color Collection ranges in price from $29.99 to $49.99, depending on the product. For more information, please visit www.logitech.com. 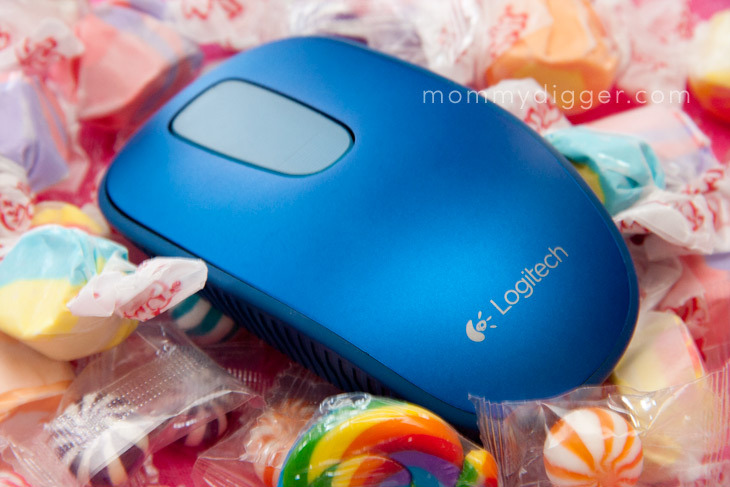 Win It: One lucky Mommy Digger reader will win a Irresistible Eye Candy Collection Logitech® Zone Touch Mouse T400. Enter below to win! US entrants only, 18+. Ends June 4th, 2013 at 12:00 a.m. Good luck! I like the lady on lily glamour. The red velvet one is my favorite.